« Letter to Mark Zuckerberg re: Facebook Posts Requesting Open Democracy! Yet if he didn’t exist Worldpeacefull (my work) wouldn’t exist. What an irony I have just realised tonight. I will tell you about that after the bullet points. 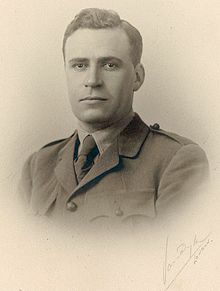 Keith Murdoch (12 August 1885 – 4 October 1952) was an Australian journalist and the father of Rupert Murdoch, the current CEO and Chairman of News Corp.
From 1908–9, in London, he took speech therapy. parliamentary reporter, in which capacity he strengthened the family’s relationships with politicians such as Andrew Fisher. In 1912, he became Melbourne political correspondent for the Sydney Sun. visit Australian troops in Gallipoli and write his impressions for the newspapers, subject to the usual military censorship. Murdoch visited Anzac Cove …befriended by the Daily Telegraph correspondent Ellis Ashmead-Bartlett, who was deeply concerned that censorship was being used to suppress criticism of the Dardanelles campaign, which, as Murdoch had seen for himself, had serious problems. Along with official war correspondent Charles Bean, Murdoch continued to lobby for Monash’s demotion by appealing directly to Australian Prime Minister Billy Hughes and misleading him into the belief that the A.I.F.’s senior officers were strongly opposed to Monash. He focused on political controversy, but he also made the Herald influential in other ways, through such devices as improved arts coverage, and celebrity contributions. Murdoch fought a long campaign which eventually resulted in the Herald, its own circulation up by 50%, taking over the new tabloid in 1925. He acquired the nickname “Lord Southcliffe” and in 1928 became managing director of the company, by which time the Sun was on its way to becoming Australia’s highest-selling newspaper. Murdoch had also been investing in newspapers on his own account, notably in Brisbane, where he bought shares in the Daily Mail and subsequently helped it to take over the rival Courier. He kept pace with new technology, and by 1935 the Herald was involved with eleven radio stations (while Murdoch campaigned to prevent the official Australian Broadcasting Commission from establishing its own news service). He also led both the merger of rival cable services to form Australian Associated Press Ltd in 1935, and the project to build a paper-mill in Tasmania, capable of processing native trees, which began in 1938. In the Depression of the early 1930s, Murdoch’s papers campaigned against the Labor Party government of James Scullin, and gave full support to the breakaway ex-Labor politician Joseph Lyons in his successful 1931 campaign to become Prime Minister. He received a knighthood in July 1933. In June 1940 Murdoch was appointed to a newly created Australian Government post, Director-General of Information, and on 18 July he obtained authorisation to compel all news media to publish Government statements as and when necessary. Comparisons were made with Goebbels, press co-operation was swiftly withdrawn, politicians protested, and despite agreements to modify the regulation, in November he was obliged to resign the post. He was chairman of the trustees of the National Gallery of Victoria. I crossed paths with this family by chance and I’d say it was destiny. It all started after I dreamed I was teaching peace. In 2000, I recall receiving a fax and was invited to a talk on humour and healing. Another friend was a doctor so I thought I’d encourage her to go. I met the husband and wife team were teaching about humour and laughter to medical and educational professionals. They inspired me to be a clown, so it looks like the talk was for me. Within 24 hours another friend and I started clowning at the hospital hugging every one with silly voices, singing, dancing and doing whatever to have a laugh. My friend and I had then started clown rounds at Canberra hospital. We clowned with this very funny woman and her sister and handed out books to patients from our jolly trolley. Her book was ‘You Won’t Die Laughing‘, great title hey! In 2002, I was at La Trobe University in Melbourne and clowned as a one off to spread love and joy there. I remember getting the feeling, that fateful day, that I was a World Peace Clown. I then asked myself who else in the world is? I Googled world peace clown and found Patch Adams. He is famous for the movie Patch Adams played by Robin Williams. He was the creator of clown doctors in hospitals using humour to heal and distract from pain. On impulse I decided to write to him in the States as it seemed he was into peace and just put to him maybe one day we clown together. I didn’t know much about him. To my surprise his brother Wildman rang me on behalf of Patch Adams inviting me to come to Russia. I had about 5 weeks before the ‘Healing with Humour Tour’ started. It seemed impossible at the time as i had no money but my feeling was to try. Another friend said ‘make it happen’. So I gave it my best shot. So, when I was trying to rack my brain for who would pay for me to go to Russia, my clown buddy Dr. Woo h oo told me to ring this other clown (sounds funny huh). So I did and asked for assistance as a loan. A few days later she rang me back and told me that she and her mother-in-law would pay for my trip to Russia, it was not a loan. I didn’t know the mother-in-law, just her name. It was these two beautiful women who paid for my trip to Russia with Doctor Patch Adams. Turns out the mother-in-law was Helen Handbury the sister of Rupert Murdoch, she paid for my trip which changed my life and who knows maybe REAL HOPE will plant a seed. I gave Helen my grandmother’s pearl necklace, it was the only thing of value I could give. She contributed to $7,500 for me to travel to Russia. To thank the sisters and Helen I made a collage of my experience clowning in Russia with 40 clowns at orphanages, nursing homes and on the streets. I saw our common humanity on the streets and experienced the joy of giving service. Patch was training a small group to give loving service to strangers. We were being taught unconditional love. I have realised tonight that www.Worldpeacefull.com came into existence because of her and I feel to dedicate this work to her with love as one of the helping hands along my way. I can see the kindness in her face. She is very humble. I have tears in my eyes thinking of her. I am grateful to this beautiful lady who I never met but she so changed my life and allowed me to express my desire for peace in this crazy world. Nothing made me happier than being a peace clown. It was funny how I found out who she really was. A decade later on my trip around Australia, I opened up a book at random in an Adelaide bookshop. When I opened the book I instantly saw her name there and then realised she was a Murdoch. 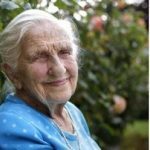 I found out later that she had died not long after she funded me. I will never forget her kindness to a stranger. As a result I’ve spent the last 18 years working on what I feel is real peace within an intention of empowering children to be who they are. The clown is to remind people we are here to be happy. It’s funny I can’t stop crying in recognition and gratitude of her. Most unexpected given the article below. A lineage linked to my life and vocation. That is why there is no them and us, we are ONE. That is the true meaning of this. Every journey is meant to be. I knew intuitively I was going to Russia, I just didn’t know how I’d get there. This thought just came to me now, my father wanted to be a journalist and worked for the Canberra Times as a linotype operator, his dream was journalism. I have a passion for writing and broadcasting not influenced by him, it seems it is in our blood too as communication is natural to me. Another link it seems. I produced and presented a radio program for 3 years called ‘Bridges to Peace’ and desired peace journalism in the media. I don’t think Rupert is into that but none-the-less these are my dreams as love guides my life not money. I send love and peace to the Murdoch family. Now to Keith Murdoch the father of Rupert and Helen. This article is about the journalist. For the rugby player, see Keith Murdoch (rugby union). Sir Keith Arthur Murdoch (12 August 1885 – 4 October 1952) was an Australian journalist and the father of Rupert Murdoch, the current CEO and Chairman of News Corp.
Murdoch was born in Melbourne in 1885, the son of Annie (née Brown) and the Rev. Patrick John Murdoch, who had married in 1882 and migrated from Cruden, Scotland to Victoria, Australia with Patrick’s family in 1884. His paternal grandfather was a minister with the Free Church of Scotland, and his maternal grandfather was a Presbyterian minister. The family moved from West Melbourne to the affluent suburb of Camberwellin 1887. Keith was educated at his uncle Walter’s short-lived school, then at Camberwell Grammar School, where he became dux in 1903, despite extreme shyness and stammering. He decided not to go straight to university but to try a career in journalism, so family friend David Syme of The Age agreed to employ him as district correspondent for nearby Malvern. Over the next four years, working long hours, he managed to create a significant increase in The Age’s local circulation, to earn promotion, and to save enough money for a ticket to England, where he hoped to gain further experience and find ways to master his stammer. From 1908–9, in London, he took speech therapy, studied part-time at the London School of Economics, and tried to find employment as a journalist, with the help of recommendations from more family friends, including Australia’s Prime Minister Alfred Deakin. The stammer reduced, but remained a problem, and shortly after it cost him a job with the Pall Mall Gazette in September 1909, Murdoch returned home to resume work for The Age, now as parliamentary reporter, in which capacity he strengthened the family’s relationships with politicians such as Andrew Fisher, in some cases entertaining them at his aunt’s country guest house. The conceit and self complacency of the red feather men are equalled only by their incapacity. Along the line of communications, especially at Moudros, are countless high officers and conceited young cubs who are plainly only playing at war. …appointments to the general staff are made from motives of friendship and social influence. After sending the letter to Australia, he supplied two copies to the British Munitions Minister David Lloyd George, with his letter of introduction from Andrew Fisher. Very quickly, Murdoch’s letter reached Asquith and was circulated to senior ministers of the British government. Ashmead-Bartlett, expelled from the Dardanelles, reached London about this time and soon, thanks to the influence of Lord Northcliffe, proprietor of The Times, The Daily Mirror and other national newspapers, his version of events began to be published. Murdoch, initially alarmed that Northcliffe’s staff had obtained a copy of his private letter, soon became a friend of the newspaper tycoon. Although his letter, written from memory, contained many mistakes and exaggerations, the main points were supported by other evidence and Hamilton was relieved of command, the subsequent operation to evacuate the troops from Gallipoli in December being accomplished with perfect effectiveness. In 1917, while visiting the Western Front as an unofficial war correspondent, Murdoch attempted to conduct negotiations with Field Marshal Douglas Haig in support of the Australian government’s policy of the Australian Imperial Force (A.I.F.) divisions to be brought together into a united Australian Corps. Although Murdoch pushed for the appointment of Major General Brudenell White as the new corps commander while denigrating Major General John Monash (who was of Jewish German ancestry), the latter was given command when the Australian Corps was formed in 1918. Along with official war correspondent Charles Bean, Murdoch continued to lobby for Monash’s demotion by appealing directly to Australian Prime Minister Billy Hughes and misleading him into the belief that the A.I.F.’s senior officers were strongly opposed to Monash. When Hughes visited the front just before the Battle of Hamel intending to replace Monash, he first consulted the same senior officers and discovered that their support for their commander was strongly positive and that Monash’s powers of planning and execution were excellent. The subsequent outcome of the Hamel assault closed the question of Monash’s suitability but later in the same year Murdoch attempted to again convince Hughes that Monash should not control the repatriation of Australian troops. Murdoch remained in London, expanding the cable service, writing influential journalism—and helping his friend Billy Hughes on visits to England—until he was offered the post of chief editor at the Melbourne Herald, which he took in January 1921. Arranging for the paper’s general manager to be demoted, he began applying Lord Northcliffe’s principles, with frequent advice from Northcliffe himself. As he had in London, he focused on political controversy, but he also made the Herald influential in other ways, through such devices as improved arts coverage, and celebrity contributions. When the proprietor of the Sydney Sun tried to break into the Melbourne market with the Sun News-Pictorial in 1922, Murdoch fought a long campaign which eventually resulted in the Herald, its own circulation up by 50%, taking over the new tabloid in 1925. He acquired the nickname “Lord Southcliffe” and in 1928 became managing director of the company, by which time the Sun was on its way to becoming Australia’s highest-selling newspaper. From 1926 onward, he had led a campaign to take over newspapers elsewhere in Australia, with varying success. In Adelaide, for example, the Herald publisher took over the feeble Adelaide Register in 1928, and turned it into a Sun-style picture tabloid. Within months, the previously dominant Adelaide Advertiser accepted a takeover bid, and the Register was quietly closed down in 1931, after the Herald acquired the evening Adelaide News, securing a local monopoly. Murdoch had also been investing in newspapers on his own account, notably in Brisbane, where he bought shares in the Daily Mail and subsequently helped it to take over the rival Courier. He kept pace with new technology, and by 1935 the Herald was involved with eleven radio stations (while Murdoch campaigned to prevent the official Australian Broadcasting Commission from establishing its own news service). He also led both the merger of rival cable services to form Australian Associated Press Ltd in 1935, and the project to build a paper-mill in Tasmania, capable of processing native trees, which began in 1938. In the Depression of the early 1930s, Murdoch’s papers campaigned against the Labor Party government of James Scullin, and gave full support to the breakaway ex-Labor politician Joseph Lyons in his successful 1931 campaign to become Prime Minister. He received a knighthood in July 1933, and being an art connoisseur with an appreciation of modern work, became a trustee of Victoria’smuseums and galleries. He later had some regrets about his support for the strong-willed Lyons, stating in 1936, “I put him there and I’ll put him out”. Meanwhile, others were expressing deep concern about the dangers of concentrating so much press power in the hands of one person. This came to a head after Australia became involved in the Second World War. In June 1940 Murdoch was appointed to a newly created Australian Government post, Director-General of Information, and on 18 July he obtained authorisation to compel all news media to publish Government statements as and when necessary. Comparisons were made with Goebbels, press co-operation was swiftly withdrawn, politicians protested, and despite agreements to modify the regulation, in November he was obliged to resign the post. Returning to the newspapers (from which he had agreed to distance himself while serving the Government) he spent the rest of the war encouraging a patriotic spirit, and attacking the Labor Prime Minister, John Curtin (who led a minority government in 1941, and was re-elected with a dramatic majority in 1943). In 1942 he became chairman of the Herald group, and in 1944, maintaining his connection with the art world, he established the Herald Chair of Fine Arts at the University of Melbourne. The following year he became chairman of the trustees of the National Gallery of Victoria. Becoming increasingly ill with cancer, he retired from most of his work except the Herald in 1949, and made a deal with the Herald board to buy control of the Adelaide newspapers, in return for first option in any future sale of his Brisbane newspaper shares. Sir Keith Murdoch died at Cruden Farm in the night of 4–5 October 1952 and the funeral service was held at Toorak Presbyterian Church. Much of his estate, valued at £410,004, was disposed of to pay off mortgages, death dutiesetc. (the Herald exercised its option to buy the Brisbane newspaper shares), but his family was still left with full control of News Limited, proprietors of the Adelaide News. In the 1985 miniseries ANZACS, Murdoch was portrayed by Australian actor David Bradshaw. In 2015 mini series Gallipoli, Murdoch was portrayed by Australian actor Damon Gameau. In the 2015 television docudrama Australia: The Story of Us, he was portrayed by Australian actor Matt Boesenberg. In the 2015 television miniseries Deadline Gallipoli, made for the Foxtel network, he was portrayed by Australian actor Ewen Leslie. In the 2015 television docudrama Gallipoli: When Murdoch Went to War, Murdoch was portrayed by actor Simon Harrison. Perry, Roland (2004). Monash: The Outsider who Won A War. Random House. ISBN 1-74051-364-9.